Last time, in a grand tour of the six great world’s fairs hosted by the United States in the single decade of the 1930s — Depression times, no less — I pointed out that it has been 27 years since tour nation threw such a party for the world. 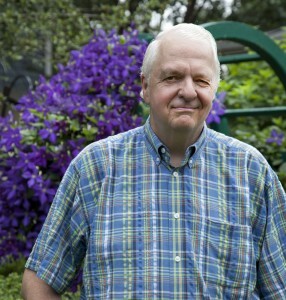 And there won’t be another one of “Category One” stature — or what Jack Masey, about whom you’ll read, calls “Super Bowl-level” fairs — on U.S. soil for nine more years at least. These days, blockbuster world’s fairs are sanctioned only once every five years, and Milan, Italy, has locked up the bid for 2015. What in the world, so to speak, is going on here? Since 1984, when the United States last assembled a grand international expo — in New Orleans, Louisiana, where I fortuitously happened to be living at the time — our country has hosted two Summer Olympics (Los Angeles in 1984 and Atlanta in 1996) and one Winter Olympics (Salt Lake City in 2002). And 14 world’s fairs have convened in other countries. Last year, 192 nations — more than most people even knew existed, let alone could name — participated in the “Better City, Better Life” world expo in Shanghai, China, for which 73 million people passed through the turnstiles. World’s fairs are neither dead nor a relic of some gas-lamp era, even though the Shanghai event got about as much coverage in mainstream U.S. media as the 2010 Cricket World Cup. So why has the U.S. of A been wandering in the world’s-fair wilderness? The answers are complex, controversial, and critical to assessing our chances of getting back into the exposition business. In 1928, 35 nations, convening in Paris, established the “Bureau of International Expositions” to oversee world expos and select the winning sites. But in the late 1990s, the United States dropped out of the B.I.E., seemingly in a huff. Actually, the U.S. State Department was pushed out of it by Congress, whose powerful Senate Appropriations Committee was controlled by isolationist-minded Senator Jesse Helms of North Carolina. He opposed what he called “foreign entanglements” and even led an effort to de-fund U.S. participation in the United Nations. State, and its United States Information Agency (USIA) component that worked on world’s fairs, were hamstrung by legislation that specifically forbade it to budget expenditures on world’s fairs, although its critics say this has been a convenient excuse for backing away from these complex and expensive propositions; they find nothing in the law to prevent the department from pushing Congress to authorize such funds. But here’s a key point today: While the United States doesn’t need B.I.E. membership or its permission to declare a world’s fair on our shores, most fair-watchers believe other countries wouldn’t come without it! The B.I.E. would sanction a competing expo elsewhere, and the nations of the world would be compelled to take their big pavilions there. “An expo without the B.I.E. is just an oversized Epcot,” says Houston businessman Manuel Delgado, a driving force behind the push to get a world’s fair for that Texas city in 2020. Futuristic Epcot is one of four theme parks at Walt Disney World resort in Florida. 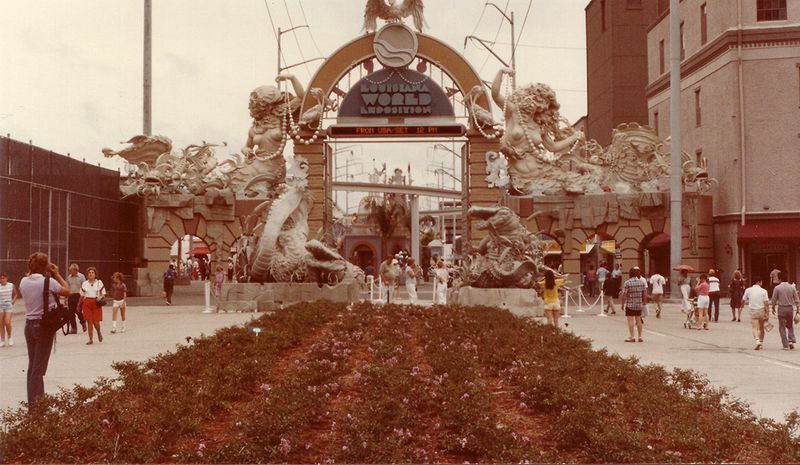 The ’84 New Orleans expo left a bad taste in the mouths of just about everyone but fairgoers like me, who remember its rides and gumbo and pelican mascot fondly. The fair ran just two years after a smaller world expo in Knoxville, Tennessee, that barely broke even and fell short of attendance expectations. But it was a smash compared to the New Orleans disaster, which ran out of money midway, saw its international pavilions padlocked by banks as collateral until debts were paid, and had to be bailed out by both the feds and the state. Projecting 12 million visitors; the Louisiana expo got 7 million. It predicted $113 million in ticket revenue; less than half that was realized. “New Orleans is the ghost that has haunted the world-expo experience of the United States ever since,” says John Grubb, chief of staff of the Bay Area Council, a business group that is mounting an effort to land a world’s fair for California’s Silicon Valley in 2020. So momentum for U.S.-based fairs — which had flourished in New York City; Seattle; San Antonio; Spokane, Washington; and twice in Los Angeles after the grand decade of the 1930s — ran out of steam. 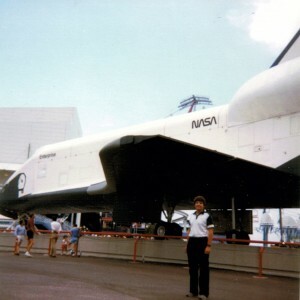 As Montana State University historian and expo expert Robert Rydell puts it, “There was a sense after the fairs of Knoxville and New Orleans in the 1980s that the exposition medium had kind of lost its muscle force and that people were just not that interested any more. Before the big funding freeze, trade exhibitions and U.S. pavilions at world fairs had been largely paid for with federal money and had been carefully put together by government exhibition experts. Remember U.S. Vice President Richard Nixon’s famous “kitchen debate” with Soviet Premier Nikita Khrushchev in 1959? It took place at an exhibit of U.S. suburban homes and their modern appliances that the USIA’s Jack Masey assembled in Moscow’s Sokolniki Park. He would also have a hand in designing several U.S. pavilions at world expos to follow. 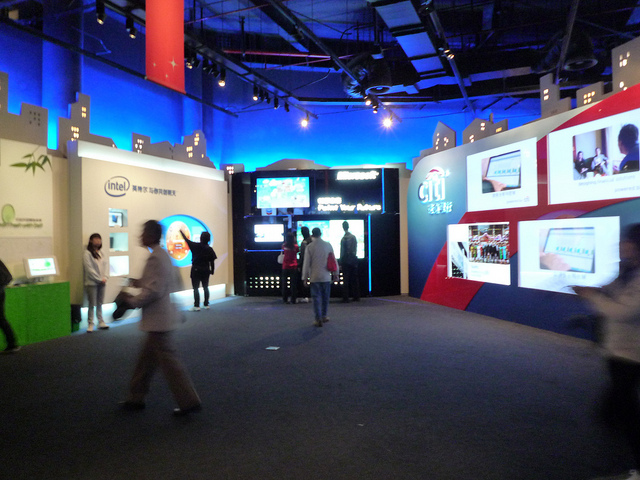 Rather than presenting tactile exhibits of U.S. technological marvels, or precious documents that had laid the groundwork for American democracy, the pavilion experience consisted of corporately sponsored video presentations, music and dance performances, and appearances by pro-basketball players and other sports figures. Though it drew about 7 million (mostly curious Chinese) visitors, it was panned by critics and many Americans who toured it as insufficient and overly commercial. The pavilion was symptomatic of the “‘Blackwatering’ of U.S. public diplomacy,” scowled Huffington Post blogger Bob Jacobsen. Blackwater is a private contractor whose mercenary forces have been deployed, controversially, in American military engagements and diplomatic security operations abroad. Though it’s certainly not a leading factor in the swoon of Americans’ interest in world’s fairs, the insistence by the B.I.E. upon referring to them as “expos” or “expositions” may have punctured some of their mystique. “Expositions” bring mundane trade shows to mind, rather than mind-boggling revelations of technical and architectural marvels, artistic creativity, and cultural treasures and traditions that “world’s fairs” suggest . A lot of people argue that world’s fairs, which may have thrilled their mostly working-class patrons a century ago, are passé at a time when Americans, anyway, can dial up their thrills on the Internet or their handheld communication devices. Want to see the latest technical miracle? People who’ve conquered Mount Everest? Strange customs of other peoples? Google them, and they’re yours in a flash, often for free. Enough gravitas to break the logjam that will have relegated the United States to the world’s-fair wilderness for 36 years by the time we have a shot at another one? Plenty of incentive besides goodwill and bridge-building remains for hosting a B.I.E.-sanctioned 2020 mega-fair. Fairs work wonders for aging cities. Proposals for hosting a 2020 fair are coming together rapidly in Houston, Texas, and the Silicon Valley area near San Francisco, California. Although it is the Department of Commerce, not State, that approves and watches over U.S. pavilions when international expos are held — make that were held — on our soil, it is the single, simple signature of the secretary of State on which any chance of hosting a great fair in 2020 appears to hinge. That signature, on an application for reinstatement to the B.I.E., would allow those and other U.S. cities to make formal bids. Whether Hillary Clinton or her successor is prepared to sign such a paper is problematical for reasons already discussed. 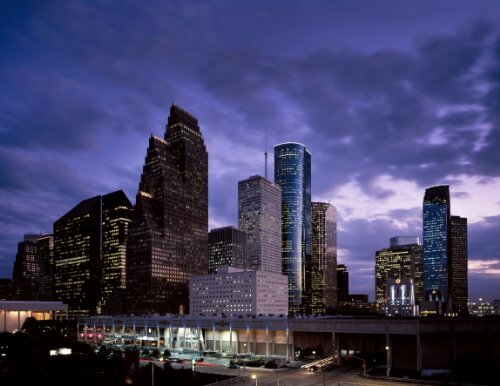 Houston, which even many Americans may not know has grown into the nation’s fourth-largest city, considers itself ripe for a world gathering. It has already identified two large, not yet revealed, locations for a 2020 fair. 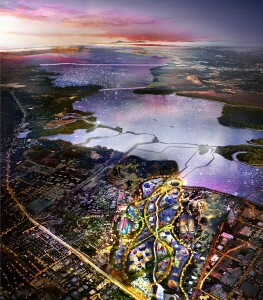 One would become an “expo city” similar to an Olympic village, housing pavilion personnel and guests from around the world. The Silicon Valley concept appears to be a bit farther along. It involves turning most of Moffett Field, the 607-hectare onetime Sunnyvale naval station for U.S. lighter-than-air ships that now holds a NASA research site and little else into what would be history’s second-largest world-expo site, behind Shanghai’s. The area’s bid has the active support of California’s previous and current governors, the Valley’s congressional delegation, and other key politicians. Silicon Valley is the legendary incubator of America’s computer and software explosion, but it has lacked a symbol beyond boring office parks. 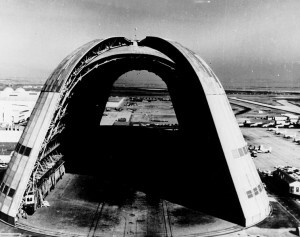 If it gets the 2020 fair, however, a lasting landmark might be a refurbished Hangar One, one of the world’s largest freestanding structures. Covering 32,000 square meters alone, it was built in the 1930s to house giant navy dirigibles. John Grubb of the Bay Area Council says it would not only find bankers to put up more than $1 billion in front money to prepare the site and build the U.S. pavilion, it has also told the State Department that it would pay the current and past-due B.I.E. dues that have become such a sticking point. “Even if we conservatively expect 25 million visitors [Shanghai drew three times that many] and charge each of them $40 admission, we’d have $1 billion right there,” Grubb says. His group is noodling how to combine three themes that intrigue the Silicon Valley backers: sustainability, innovation, and space. As no combination of those disparate concepts rolls off the tongue, there’s work to be done there. Already ahead of Houston and the San Francisco area in line for 2020 are cities in Turkey and Thailand. Ancient Izmir, once known as Smyrna, is Turkey’s third-largest city behind Istanbul and Ankara; it finished second to Milan for the 2015 bid and built up a reservoir of support that would be an obstacle for a U.S. contender. Ayutthaya, Thailand, sometimes called “the Venice of the East,” is another venerable city that would be looking to a fair to spur modernization. Recent political instability in Thailand could harm that city’s chances, however. A State Department official who spoke to VOA on condition of anonymity told me that government endorsement, let alone funding, of world’s fairs on U.S. soil is dicey at a time of severe budget-cutting in that department and others in the Executive Branch. 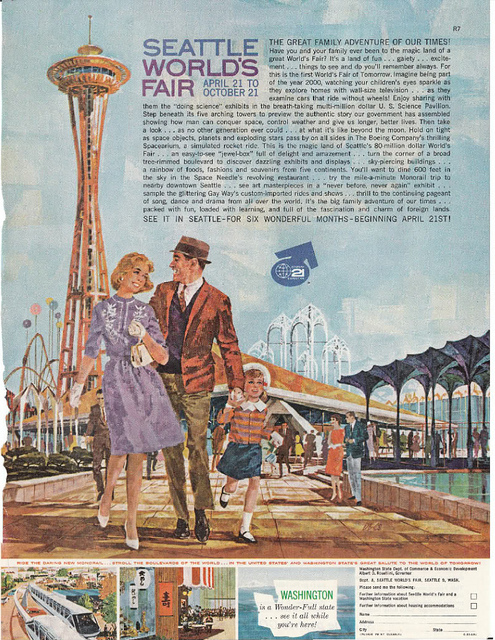 This official wonders whether the absence of world’s fairs from most Americans’ lists of things to do for a generation or more would make it hard for organizers of a U.S. exposition effort to stir up public enthusiasm that would prompt the government to act. There’s also a lot of talk about creating a sort of “Expo USA,” akin to the U.S. Olympic Committee, which is a permanent, public-private agency that seeks Olympic games for the United States and finds them financial support. Robert Rydell, perhaps America’s foremost student of world’s fair history, is sanguine when it comes to all the knuckle-biting about the viability of great expositions. He notes that some of the smash hits — including ones in the ’30s that I wrote about last time — have been held in times of economic and political turmoil. 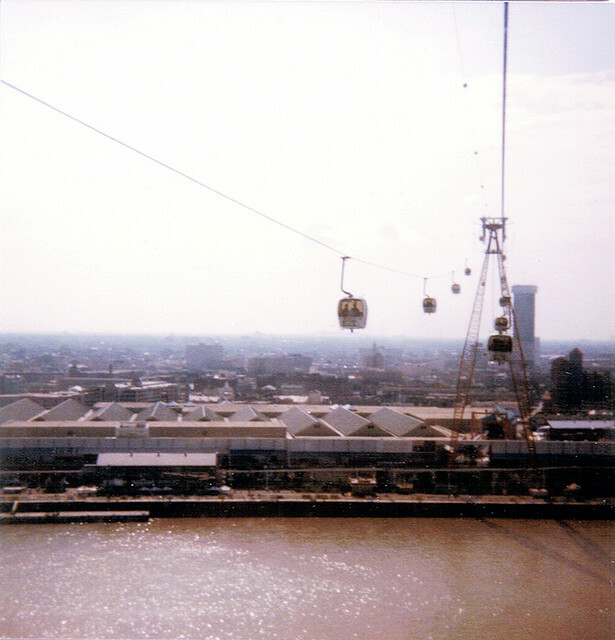 “If a primary function of world’s fairs has always been to provide nation-states with cultural safety nets or, to switch metaphors, lifebuoys, then one might well come to the conclusion that the greater the fear of free-fall, the greater the likelihood that at least some people will begin thinking about the value of these events,” Rydell says. If the medium of the fair is to survive as something other than an amusement park, fairs will have to help people craft and experience possible solutions to the problems that threaten to envelop us as we race — by inching — forward into the 21st century. The most interesting question, I think, is not whether world’s fairs will survive, but, if they do, what will they have to contribute to improving the lives of billions on this planet? Obviously, these are questions that should be subject to rigorous debate by policy makers and the publics they serve. So there’s at least a lot of talk about hosting fairs in the United States again. Talk is cheap, of course. Mounting a dynamite world’s fair, assuredly, is not. Dicey. Unpredictable, risky, even dangerous. Fortuitious. Happening through good fortune or chance. Pelican. A large water bird with a huge throat pouch that can expand to seize good-sized fish that the bird catches while diving beneath the water’s surface. Thanks for posting this. It’s gratifying to hear that a lot more people in the United States are paying attention to world’s fairs. I think a lot of the renewed interest is from the potential Houston and Silicon Valley bids for 2020. 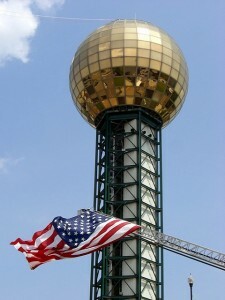 I did want to clear up some confusion, though, that a lot of people have about US participation at world’s fairs. There are actually two issues that get confused as one issue: one is US funding of US Pavilions abroad and the other is US membership in the Bureau International des Expositions (BIE). The first happened in 1989. 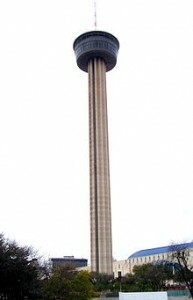 The second in 2003. In 1989, the issue was State Department funding of United States Pavilions abroad. 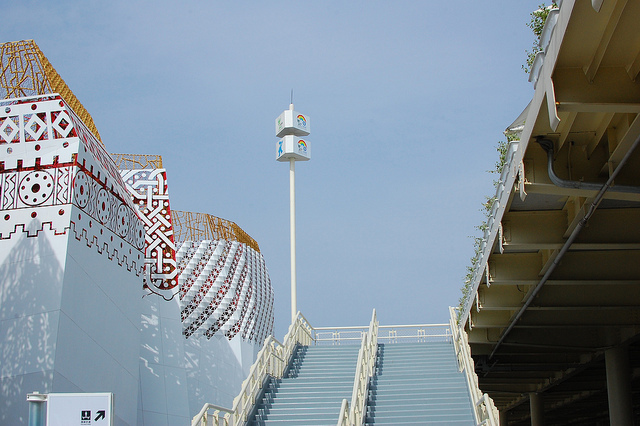 The United States Pavilion at Seville’s Expo ’92 was the first pavilion to suffer from the withdrawn funds. The issue here was apparently Spain not allowing the United States to place missiles there during the Cold War. The United States didn’t pull out of the BIE in the ’90’s, but in 2003 when two years passed without having our membership dues to the BIE appropriated by congress. It’s still unclear as to why the (rather modest) dues weren’t included in the budget, but most people theorize it was because the BIE was headquartered in Paris and many were upset at France at the time. With both Houston and Silicon Valley interested in 2020 (and perhaps South Florida as a sudden latecomer), I think the issue with US membership in the BIE can be resolved. Both major political parties seem to support it. The next step is the creation of something akin to the United States Olympic Committee, that is charged with selection domestic bid cities as well as organizing foreign pavilions. I think this is certainly do-able, as well. The last world’s fair in the United States was when I was 17 (the last one in North America, Expo ’86, was when I was 19). I’ll be 53 years old by the time Expo 2020 rolls around and I really hope we can return the tradition to our shores then. I have been to 11 World Fair’s-Expos and often have been ashamed of the US presentation or lack there of. When many countries are putting their best foot forward it is embarassing to see, what we often believe to be the best country in the world,…does not even make an effort to take part in a showcase of the world and what we do to to enhance and protect it. I can only hope we pull our head out of the sand and make the decision to rejoin the BIE and put in a bid for a future fair! Good overview. 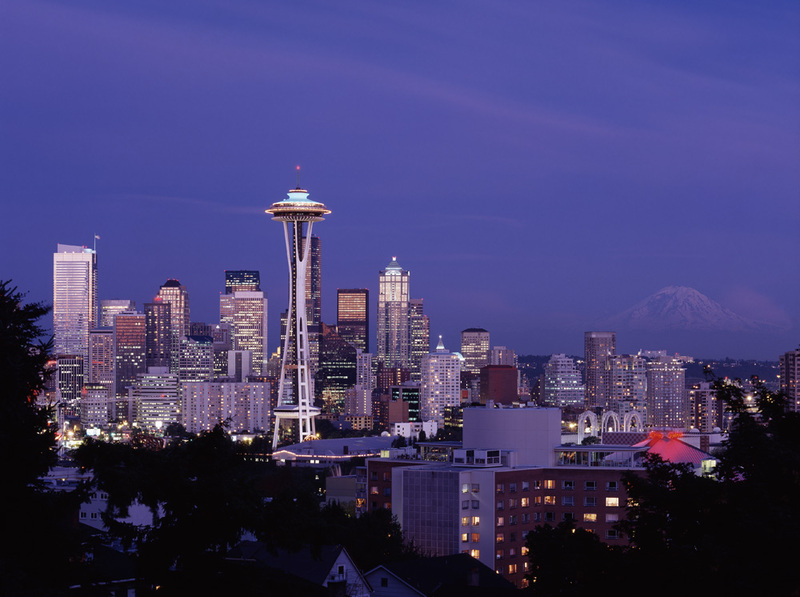 While everyone tends to focus on the national agendas at expositions, they are also, at root, city improvement projects with distinctly local goals. You cannot put on a fair without the local Chamber of Commerce and civic leadership going along. Entertainment and high-minded exhibits are often a means to a civic end, whether it’s to leverage toll-road monies to build a park as Robert Moses did (twice) in New York, or a voter-approved bond issue that was leveraged into a world’s fair (the first in the US after WWII) in order to build a permanent civic center in Seattle. World’s fairs have a chance to come back in this country if they are adopted (again) as successful strategies for improving cities or regions. They don’t always work, but if the local model can be made to work again, a national revival could happen. A great piece. 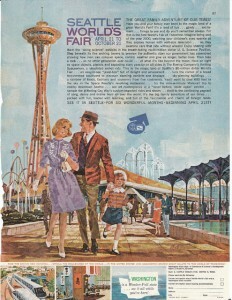 It’s good to see Urso and some of my other Expo colleagues advocating for another World’s Fair for the USA in the near future. The USA plays a pivotal role in the world as a hard – and both soft power – through it’s economic and military might, but also through its enormous influence culturally around the world. It’s commensurate with its world superpower status that it plays a greater role in World Expositions. Getting the USA to re-join the BIE will be an important part of the pathway to hosting another World’s Fair in the US – and I wish the States every success in this regard.